I had a girlfriend for about 2 yrs…long distance relationship…never met for like 9 months. We fight occasionally as she is busy all day long, never has time for me. Even during evening time she never talked, I did all the talking, she just listened to me. This ended up in a big fight. She said "Let's be friends, don't spoil our relationship, when we will be in a same town we will continue". She talks to me now, but for like after a week's gap so that we don't end up fighting again…can you suggest that should I talk to her?? She's coming over next week. Should i be normal or should I show my interest in her? Help please. Why should she talk to you? She can talk to ANY guy she wants. One eye contact from a girl and most guys will be ready to talk. So why should she talk to you? Why YOU? No woman in the world owes you a conversation. Not your girlfriend, not your wife, not even your mother. You cannot demand a conversation from her. You have to inspire her to talk. You have to create conditions that make her want to talk to you. You say that you fight with her because she's too busy to talk to you. That sounds like a little boy who falls on the ground crying because his mom refused to give him extra candy. 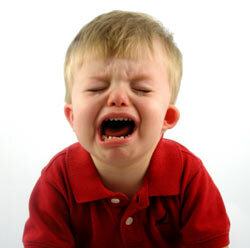 "I want more candy, waaaaaaaah"
Women don't f**k whiny little boys. They f**k real men. 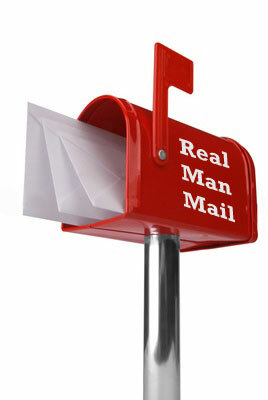 A real man does not wait for a girl to get free to talk to him. Oh no. He is too busy with his projects, his dreams, his adventures. He barely has time for women. In fact, it's the women in his life who complain that he doesn't give them enough time. Frankly, I think this girl has lost all attraction for you but she's too polite to say it. And the more you chase her, the more she wants to run away. The best thing you can do right now is to STOP chasing her and focus on improving yourself. Here are some tips for you to increase your value in her eyes, and maybe, just maybe, she'll get attracted again. "Where is Sanjeev? Gone to another town??! Why? Why didn't he tell me? What is he doing there? Has he found another girl? Is she hot? Has he lost interest in me?" When a woman wonders about you, it's good for attraction. Keep her wondering. Never let a woman take you for granted. Always be unpredictable. You sound like you have too much free time. Do something with that time.If you don't have a job, get one. If you're employed, learn new skills that make you more valuable to your employer. Or join a class that teaches you fun skills like playing a musical instrument or salsa dancing. Or join a gym and get into shape. Or travel. Not only do these activities keep you busy, they make you a better man and they also give you conversation topics to keep her interested. Your time becomes more precious, and she'll value the time you spend with her. A busy man is an attractive man. I don't know what you dress like, but my gut feel says that you dress boring. Pick from fashion ideas here and improve the way you look. So, should you talk to her when she comes over next week? Should you even meet her? Should you even be in town? You should be far away somewhere, anywhere, doing something, anything! Women are attracted to men who are out there, busy following a dream. Do you have a dream? Do you have a maksad (purpose) in life? It doesn't matter what it is, as long as it is something you passionately believe in. Get so busy with that maksad, that the girl should complain you are not giving her enough time, she should complain that you don't talk but only listen. She should be the one whining, not you. Once in a while, meet her, pin her down, eat her from head to toe, give her mind blowing orgasms, f**k her hard and then….GET BACK to being busy with your maksad, your purpose, your dreams. That's the way of the real man. This entry was posted in General, Reader’s question. Bookmark the permalink.